The Sonoma Historic Motorsports Festival opens May 28-31 at Sonoma Raceway, marking the first time the event will be operated by the Sportscar Vintage Racing Association (“SVRA”). In late 2014, SVRA merged with General Racing (Steve Earle), founder of the famed Monterey Historics. With Earle having moved his event from Monterey to Sonoma six years ago, Sonoma now stands on its own as an event on the historic racing calendar. Hopefully, SVRA’s size and market share will allow the event to continue to grow. As part of its “gold medallion” celebration, SVRA plans to focus on cars that are presented as-raced. Allard will be the featured marque for this year’s invitation-only event. 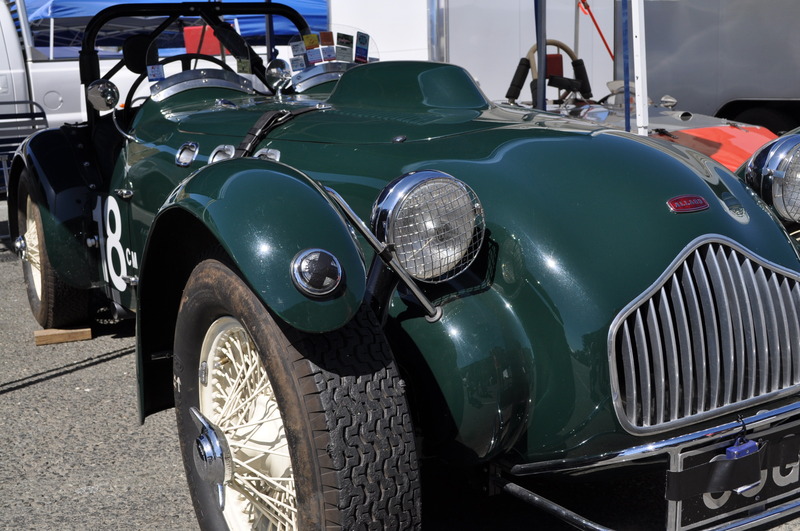 Just mentioning “Allard” evokes the great Bill Pollack and his fabled wins at Pebble Beach in 1951 and 1952. Fitted with a massive Cadillac engine, Pollack’s Allard managed to beat fellow Californian and future F1 champion Phil Hill. Bill is celebrating his 90th birthday this summer, a true legend among road racers in California. This entry was tagged Historic racing, Race Sonoma, Sonoma Raceway, SVRA. Bookmark the permalink.